COO and President, Geomagic, Inc.
You may not have noticed in the run up to the 4th of July week, but Exa Corporation went public in late June, signaling again that engineering oriented companies can have a route to the public markets - (NASDAQ:EXA). The mid-point IPO range was to have been $12/share, but instead Exa Corporation went public at $10/share. Exa's FY12 revenues were $45.9M, of which $38.7M was generated from license revenue. Exa is trading roughly at $10/share as of this blog post, and that equates to roughly 2.8x TTMR (Trailing Twelve Month Revenues). As of April 30th, 2012, Exa had 203 employees. Exa was venture backed (FMR LLC, Boston Capital Ventures and InfoTech Fund I LLC). Exa is based in Burlington, MA and provides software products and services for"simulation-driven" design. Exa markets a suite of fluid flow, heat transfer and acoustic simulation solutions used to optimize the performance of products. 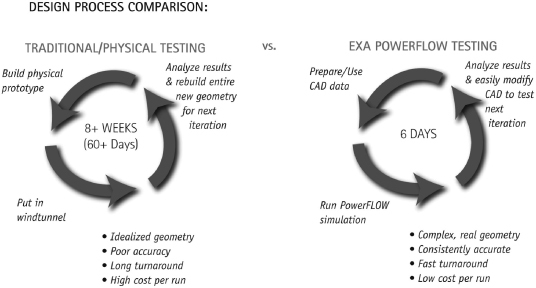 Exa works to drive simulation earlier into the design process so that engineers can more accurately predict product performance - reducing later stage design changes. Exa's business model is subscription oriented (like most analysis and simulation companies) and interesting indeed. 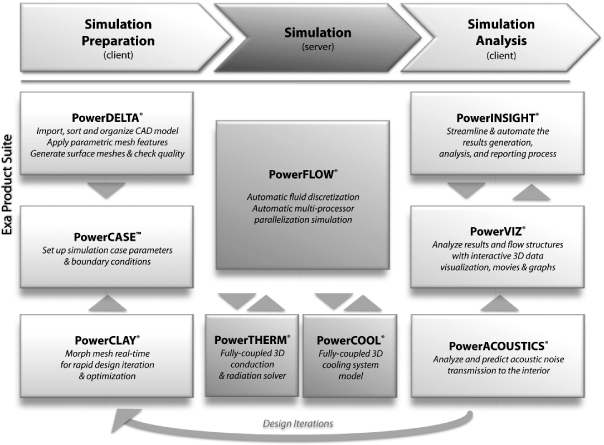 Exa sells usage of their PowerFLOW simulation suite on an"annual capacity-based model." Simulation capacity can purchased to be run on the user's own computers or it can be purchased as a SaaS application called"PowerFLOW OnDemand." PowerFLOW OnDemand is run out of a data center owned by IBM and located in New Jersey. Their model is very sticky. In 2011 their license renewal rate was 91%, and in 2012 it was 97%. Exa has not moved much from its IPO price. They are most certainly suffering from the general post-Facebook fall out, but the market is also likely discounting them because while they have a great recurring revenue model, most of that revenue is concentrated within the automotive industry (which they describe as the"ground transportation market"). Exa also disclosed that they may be subject to license payments to MIT for the use of certain patented technologies.